Please note that this GUI is in no way related to SolarOS by VonGodric. Solar Gui ironically uses VonGodric's WizGui and just shows a simple demo of 4 windows each with something different. No widgets are shown nor are there any functional features other than that windows are redrawn very quickly (their canvases are cached in memory I believe). Other than that, I don't know much else to say. 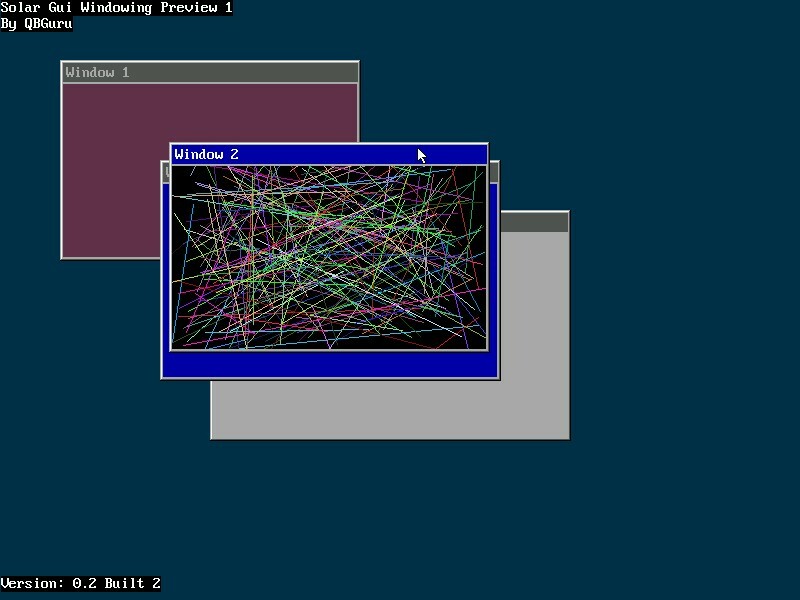 Looks like it could've been a neat GUI and a great implementation of WizGui.